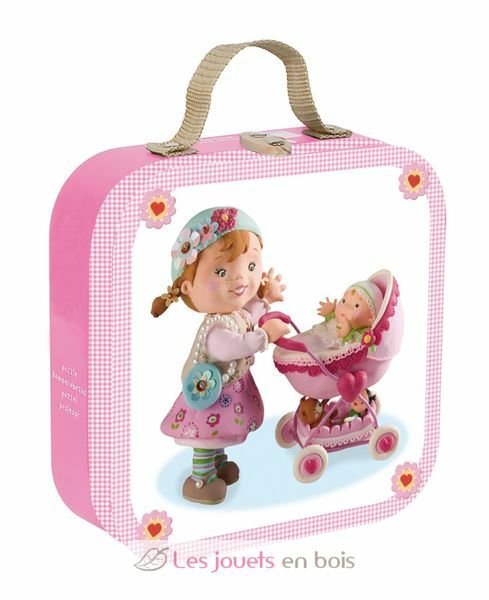 A pretty hard cardboard suitcase for 3-6 years containing 4 different puzzles on the theme of the little girl playing with dolls (parts are hard cardboard too). For learning puzzles, the first consists of 6 large pieces, the second of nine parts, the third of 12 pieces and the last of 16 pieces. A beautiful creation of the Janod brand that is associated with Fleurus.